Searching a subject’s history through all 50 states requires detailed investigation, and it can’t all be done in person. Logistically, there are some investigative tools that can’t be applied, like a road trip down the East Coast to check all of the courthouse records. We spoke with two experienced professionals, Pamela Hay of Broad Range Investigators and Brian Willingham of Diligentia Group, about the best ways to conduct nationwide and statewide searches. Both investigators agree that it’s not possible to manually check every record, nor can online databases be fully relied upon. An investigator must always assume the files in an online database have errors and that they are never truly being provided with all the records available. These issues can trickle down to statewide searches as well. Investigators are busy, and a state tour doesn’t always fit into the schedule or time frame of a case. So, if it’s not possible for investigators to get to every county that the subject of the background check has lived in, but they can’t rely on online databases -- How are nationwide and statewide background checks possible? 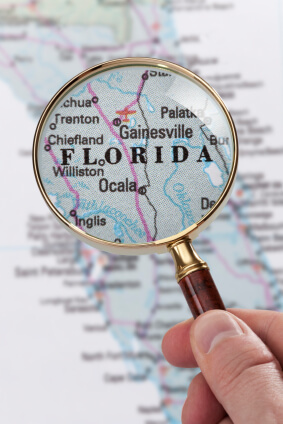 Our guests have ample experience in both nationwide and statewide investigations. Pamela Hay has top secret clearance with the state government to perform civil background investigations, she also teaches a professional investigations course at Boston University. Willingham has been an investigator for more than 11 years and has performed thousands of background checks. His company, Diligentia Group, specializes in background investigations as well. Each investigator had some interesting things to say about nationwide and statewide investigations. When beginning a nationwide search, “the first thing you want to do is identify where a person has lived and worked,” Willingham suggests, “those are the most critical places where you need to conduct your research.” Once you have done this, checking a nationwide database is a good idea. The important thing is to understand how these nationwide databases work, and to what extent an investigator can rely on their content. “There is a little bit of a catch to, what they call these, nationwide databases” Willingham explains. “Typically they are not really nationwide. They don’t cover every jurisdiction.” Essentially, these databases are hubs that states can report criminal offenses and court records to. Some states send in their filings, and some states don’t. In other words, this isn’t something investigators can rely on for providing everything that’s out there. With that being said, these databases can yield some powerful results. “Somebody could have gone to Florida and been arrested for drinking in public,” Willingham proposes. “The person may have never lived, worked, or resided there, and have no connection to that place,” but an online database could hold that arrest record. If an investigator were to find a record such as Willingham described, an online database would be one of the only places to find it, aside from visiting every courthouse in the nation. Although these databases can be a gold mine of information, the investigator must always check the validity of the record. Hay added some noteworthy advice: Although these databases can be a gold mine of information, the investigator must always check the validity of the record. This can be done a number of ways. If possible, the investigator can go to the location and pull the record to review it. If travel is not possible, the investigator can hire someone to pull the record and either send it back or review it and send back a report. Records need to be verified with the physical document to confirm their validity. Willingham likes to multi source documents and information for verification. In other words, if an investigator knows that one piece of information, such as a birthdate, is factual, he or she can verify a new document by double checking that the birth date is listed correctly. Somebody could have gone to Florida and been arrested for drinking in public. The person may have never lived, worked, or resided there, and have no connection to that place, but an online database could hold that arrest record. If an investigator were to find a record such as Willingham described, an online database would be one of the only places to find it, aside from visiting every courthouse in the nation. Each state has a handbook dictating what is publicly available and what isn’t, and how an investigator can go about retrieving public files. “I know that I have a handbook here in my state about what is public and what is not; and what you can do if someone does not comply with you to give you the information that you need,” Hay adds. Starting a statewide search with an online-database check can also be a good way to assess the situation and how much leg work needs to be done. And like nationwide-online-database checks, all the same rules apply: the investigator needs to take all the precautions of checking that the files found are valid through multi-sourcing and manually pulling documents. Once the mission and goals have been determined via talking to the client, checking what’s available online, deciphering how much review those files will need, and how much work will be done out in the field, the investigation can start retrieving files his or herself. In theory, all investigative work is deductive reasoning. An investigator can start with as little as a name or a workplace, and through practiced strategy and technique, uncover everything about an individual’s history, financial situation, and his or her personality traits. Starting with the big picture in an online database and fine-tuning the results to move forward into the field of investigation are the skeletal parts of a successful, comprehensive background check. Brian Willingham is a New York Private Investigator and the President of Diligentia Group. He is also #2 on the PInow list of Top Private Investigator Blogs. Pamela Hay is a criminal defense investigator and president of Broad Range Investigations. She also teaches investigative research at Boston University.